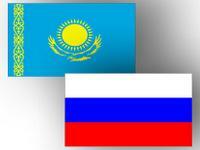 Kazakhstan and Russia will develop new agreement on good neighborhood and strategic partnership in 2013. Such decision was taken at a meeting of Russian President Vladimir Putin and his Kazakh counterpart Nursultan Nazarbayev in Moscow on Tuesday, Kazakh presidential press-service reported. The presidents in a joint statement highlighted the importance of friendship, good neighborliness and strategic partnership for two countries and for international stability and development of cooperation in the Eurasian region. "Kazakhstan and Russia build their relations on the basis of large-scale cooperation and mutual trust, respect for the independence, sovereignty, territorial integrity and inviolability of frontiers, peaceful settlement of disputes and the non-use of force or threat of force, non-interference in internal affairs, equality and mutual benefit," the Presidents said. Putin and Nazarbayev expressed intention to enhance mutually beneficial cooperation in trade, economic, investment, scientific and technology fields. 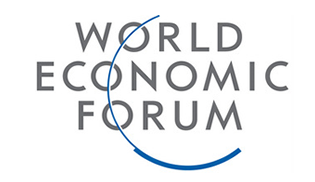 Moreover, the parties highlighted the importance of the further development of equal and mutually beneficial strategic partnership in the sphere of production and transportation of hydrocarbons to the world market and the use of nuclear energy for peaceful purposes through strengthening of economic ties, industrial cooperation and the creation of favorable conditions for such cooperation. Putin and Nazarbayev also expressed interest for creation and development of integrated transport system and ordered to create necessary legal, economic and organizational conditions for smooth transportation of goods and passengers. Moreover, the presidents expressed intention to cooperate within international programs and in the field of peaceful use of outer space.